This is my second full month as Board of Education President since being installed in December. Reaching out to the community with updates and information has been an idea that we as a school board have wanted to do for some time now and here is our first message. I plan to share the latest achievements and news happening in our schools each month at this time. 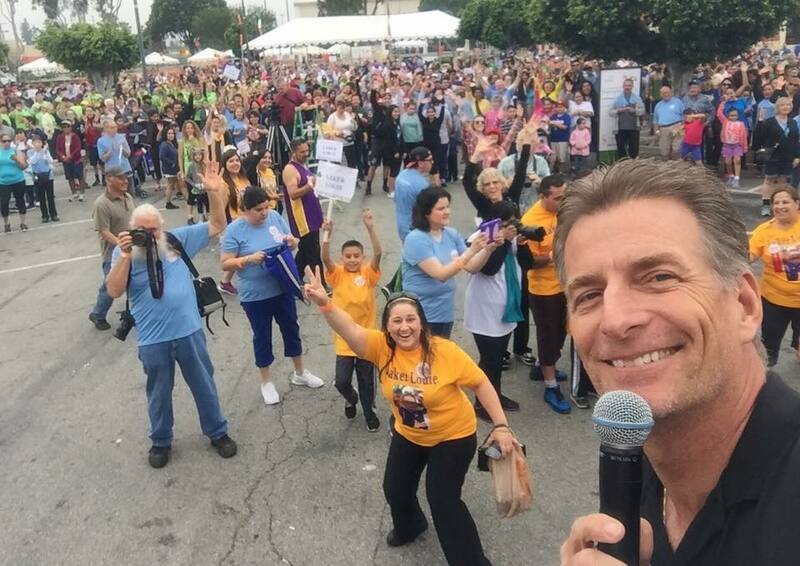 I want to start by thanking our entire Downey Unified School District family for all they do for our students. I want to point out that in my view our family consists of each teacher, administrator, instructional assistant, office manager, cafeteria worker, bus driver, maintenance worker, attendance clerk, mom, dad, aunt, uncle, grandma, grandpa, even just a kind friend or neighbor. They all truly affects the lives of our youth and I just want to recognize and thank each of you for all you do. Nancy Swenson, Bobbi Samperi and Giggy Perez-Saab on a visit to Gallatin Elementary. Now let’s get into some district highlights! First, we are so excited to announce the official kick-off of Downey Unified’s new Dual Language Immersion program. The Global Language Academies of Downey (GLAD) will open its doors in the 2019-20 school year at Carpenter Elementary School and we couldn’t be prouder. With this inaugural year just around the corner we will start by offering this new Spanish/English immersion program with TK and Kindergarten students, then we will grow a grade-level each year. In the coming years our goal would be to expand this GLAD program. If you would like more information on this new program, visit Downey Unified’s website (www.dusd.net). Next, I want to give huge congratulations to Warren High, Columbus High and Doty Middle schools for their most recent accomplishments! Earlier in February, Warren High School celebrated receiving the designation of Special Olympics Unified Champion School. Warren was visited by ESPN’s Neil Everett and former ice-skating Olympian Michelle Kwan, where they were presented a banner for their national recognition as one of five “ESPN Top 5” Banner Schools from across the country for making their campus one that’s centered around inclusion. This means the staff and students worked very hard to successfully include special education students in many activities such as cheer, basketball and track and field. As a graduate of Warren High, I couldn’t be prouder of my alma mater. Now for Columbus High. Their success started in 2010 when they passed a WASC accreditation process which validates the integrity of a school’s programs. And now to add to that they have been named a 2019 Model Continuation High School by the California Department of Education because of their continued work with students who have faced many challenges all while getting them back on the pathway to learning. How cool is that? Last but certainly not least, Doty Middle School recently received the nationally recognized Schools to Watch designation! What can’t our schools do?!? Doty was selected as a high-performing model school that demonstrates academic excellence, social equity and responsiveness to the needs of young adolescents... I think that about says it all! Doty now joins last year’s Schools to Watch recipients Griffiths and Stauffer middle schools. I want to thank all of the teachers and staff members at Warren High, Columbus High and Doty Middle schools for ALL of their hard work in making these awards and designations possible! We could not have accomplished these goals if it wasn’t for your dedication and drive. I, and all of my fellow Board members, truly thank you! Each month I’m going to close by inviting the entire Downey community to a few upcoming events so let’s start with a great event supporting True Lasting Connections (TLC) Family Resource Center! For those of you who may not know, this Saturday is the Healthy Downey 5K for TLC and all are welcome to come show support and even run/walk (registration is still open). This community event, which begins at 8 a.m. at Apollo Park, directly benefits the Downey Unified students through the TLC Family Resource Center. I truly hope to see you there! It is also Open House season across Downey Unified and I’d like to extend an invitation to any of our schools’ Open Houses! Primarily beginning at 5:30 p.m. or 6 p.m., the majority of our schools have upcoming Open Houses through the end of March. Visit your home school’s event or travel to another school to see the incredible programs, teachers, classrooms and facilities across the district. Make sure to keep an eye out for other activities being advertised on social media as well as on school marquees. I can’t wait to reach out next month and tell you about more amazing achievements and updates within Downey Unified! DOWNEY – Local immigration and criminal defense attorney Robert F. Jacobs was honored as the 2019 Attorney of the Year by the local Southeast District Bar Association (SEDBA) at the Rio Hondo Golf Club earlier this month. The award recognizes an attorney who demonstrates exceptional legal knowledge and skill in their field of law, and contribution to the legal profession and the community. Jacobs is the founder of the immigration and criminal defense law firm of Robert F. Jacobs & Associates, PLC. He received Bachelor of Science degrees in Economics & Political Science, with Honors, from the University of Wisconsin – La Crosse, and earned the Dean’s Scholarship to pursue his Law degree from Marquette University, where he was a member of the Law Review. Jacobs has been honored as a Thompson Reuters Super Lawyer in Immigration Law for the past five years (2015-2019) and has been a Certified Specialist in Immigration Law by the State Bar of California since 2007. He has conducted immigration court cases in thirteen different states between Hawaii and Massachusetts, and presented nine Oral Arguments before the Ninth Circuit Court of Appeals. He is also a regular planner and speaker at legal seminars educating other lawyers about immigration law. The Pledge of Allegiance was led by the Downey Kiwanis Noon Club of which Robert Jacobs is a proud Past President and current Trustee. In Kiwanis, he has participated in community service for organizations such as the Rancho Los Amigos National Rehabilitation Center, ARC, and the Key Club and Kiwins clubs at Downey High School. He has also been a Trustee of SEDBA, the Immigration Law Section of the Los Angeles County Bar Association (LACBA), the Mexican American Bar Association (MABA), and has been a long time member of the American Immigration Lawyers Association (AILA). In the true story, she struggles to save a woman from Afghanistan who was threatened by the Taliban for starting a school for girls, and changed political asylum law forever. The second was Nora Phillips, the director of the organization “Al Otro Lado.” She travels to Tijuana, Mexico to provide services and protect the human rights of recent deportees and trapped asylum seekers, but last week her passport was suspiciously flagged by a government (possibly the U.S.), resulting in her being denied entry into Mexico and deported back to the U.S., jeopardizing her courageous organization and mission. Following the event, however, Robert Jacobs specified, “my favorite hero is my wife, the Honorable Judge Lillian Vega Jacobs. As a childhood immigrant from Mexico, she overcame so much adversity to become an Assistant District Attorney for Los Angeles County, a Partner in our former office of Jacobs & Vega, PLC, and the SEDBA President and Attorney of the Year. DOWNEY – Columbus High School has been named a model continuation high school for 2019 by the state of California. Columbus and the other model schools were recognized for their innovative approach to instruction and helping students who have faced challenges – including behavior issues, chronic absenteeism, and truancy – get back on the pathway to learning. “These schools have created exemplary programs and strategies that provide students with a second chance at academic success,” state Superintendent of Public Instruction Tony Thurmond said in a statement. Continuation schools provide a high school diploma program for students ages 16-18 who have not graduated from high school, are required to attend school, and are at risk of not completing their education. The Model Continuation High Schools Recognition Program is a joint project of the California Department of Education and the California Continuation Education Association. The program honors continuation high schools for the comprehensive services they provide at-risk youth through instructional strategies, flexible scheduling, guidance, and counseling. More than 51,000 students attended the state’s 435 continuation high schools during the 2017–18 school year. The 31 schools selected as model continuation high schools retain their designation for three years and will be recognized at the 2019 CCEA State Conference in Santa Clara in April. 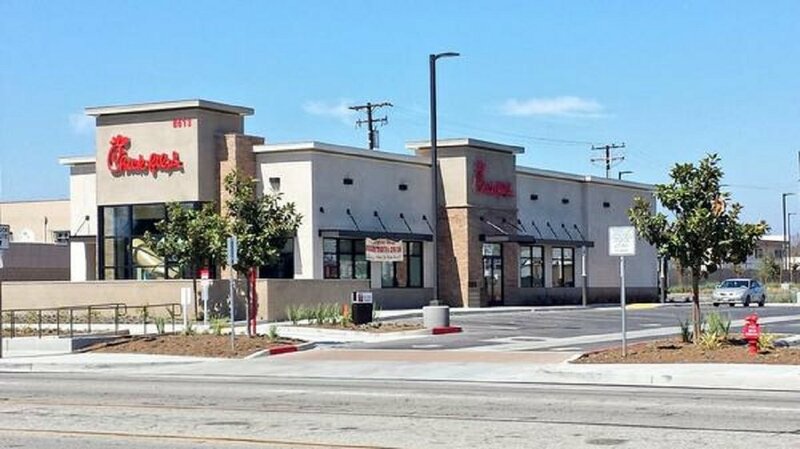 Pending approval, the Chick-fil-A will be located at 8818 Imperial Hwy. Marco Barcena during a Toastmaster meeting. 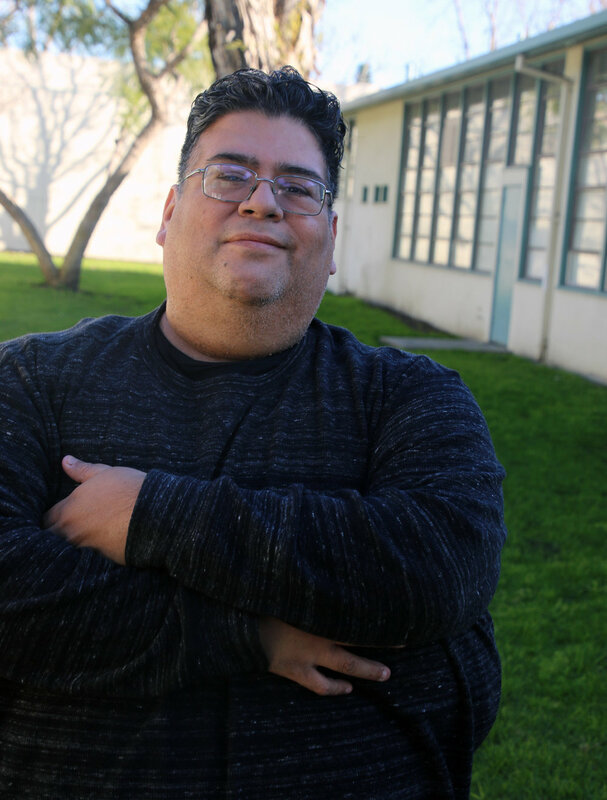 DOWNEY — As a Bell Gardens employee for almost 15 years and with a degree in Interdisciplinary Studies from UC Berkeley in his pocket, Marco Barcena felt very confident about his communication and leadership skills. However, when he joined Toastmasters Club 587 in 2014, he realized there was plenty of room for improvement. Since the beginning, Barcena started to work on his speeches, taking several roles during meetings and worked his way up to become president of the club in 2017. 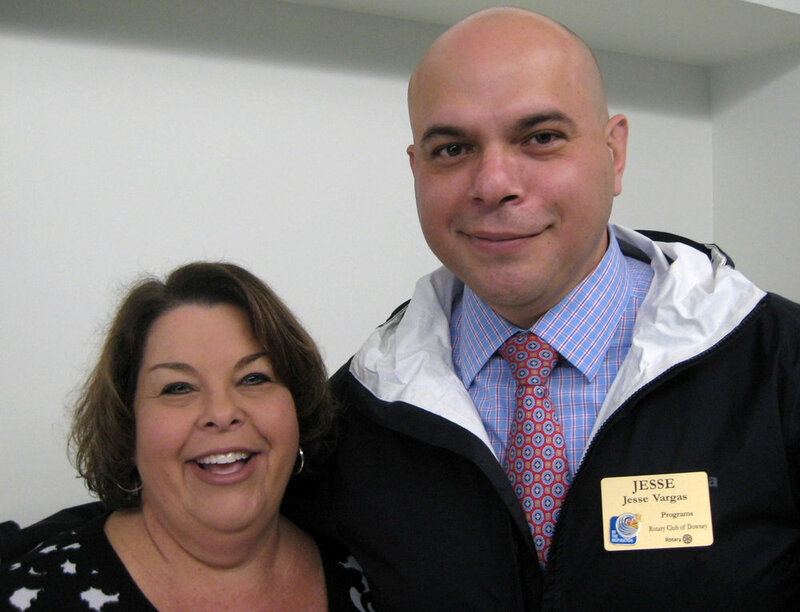 "Toastmasters instantly gave me the opportunity to step out of my comfort zone by challenging me to work with a diverse group of leaders," said Barcena. "I had to hit the ground running as a VP of Public Relations and work with a president that had a very different way of getting things done. This allowed me to grow as a leader almost instantly," said Barcena. "Similarly, receiving feedback via constructive evaluations allowed me to confirm areas in need of improvement in my communication as well as identify many new ones." The recently elected to lead the Bell Gardens community as a councilman considers that the lessons learned in Toastmasters were fundamental to get the confidence to run for office. Now Barcena is certain he knows how to better deliver his message to his constituents that come to him for help. "Often it takes many small wins to be able to reach those big milestones," he emphasized. Toastmasters allowed him to see and understand the importance to listen to the people's varying points of view, said Barcena. Now he takes on the audience's perspective and simplifies his message to make it digestible for the public. "Distilling my message along with applying feedback from fellow Toastmasters is what gave me the confidence to drive my message across in a memorable way," added the councilmember. Currently, Barcena is the Area Director for Toastmasters and states very clearly that he would recommend Toastmasters to the people, "but only if they really want to grow." NEW BOARD: Last month Dynamic Forcemasters Club 587 picked the new board that will serve from January to June of the present year. Adela Cervantes, President; Rene Estrada VP of Education; Veronica Sandoval, Secretary; Ralph Diaz, VP of Membership; Fabiola Barcena, VP of Public Relations; Emanuel Aparicio, Treasure; and Agustin Duran, Sergeant of Arms. The Downey Toastmasters club meets Tuesdays from 6-7:30 p.m. at Downey First Baptist Church in room 116, across from the library. They can also be found on Facebook (@DowneyTM). DOWNEY — With two anniversaries upcoming, 2019 looks set to be huge for The Columbia Memorial Space Center. 2019 will mark the 50th anniversary of the Apollo Moon landing, where astronauts Neil Armstrong and Buzz Aldrin took man’s first steps on the moon. Because of Downey’s rich and deep historical aerospace roots, CMSC Director Ben Dickow has said that the museum will feature plenty of exhibits, programs and activities, and events to pay homage to the landmark event. Part of the celebration includes a speaker series, which will feature several individuals who worked on the Apollo program. This also includes a partnership with the Los Angeles Public Library to get a smaller version of the series out to their various branches. While details were still being confirmed at the time of writing, Dickow says that the speaker series may be recorded and picked up by NASA and the Smithsonian. “We want to make this available to the world to come in and be able to downloaded it minutes after we do it,” said Dickow. Special hands-on, Apollo-related STEM programs are also being designed for the over year-long celebration. “This is a big deal. We would be crazy not to capitalize on this huge anniversary,” said Dickow. Plus, as a special tribute to the landing, the Space Center hopes to host a slew of more intensive, immersive activities to engage and involve the community. This will include a collaboration with the Nixon Library. President Richard Nixon made the famous phone call to the moon. CMSC also plans to live tweet the mission during the anniversary week. For fans of the popular “Dapper Days” at Disneyland, CMSC has a real treat. For those who are fans of the CMSC’s annual events and activities, never fear; popular CMSC mainstays such as Rocket Fever, Space Expo and Long Beach Comic Con, and its participation in City of Stem will not be phased, now including some moon landing footprints (no pun intended). “It’s going to pop up throughout the year and just sort of layer on to what we do already,” said Dickow. On top of the Apollo anniversary, CMSC will also be celebrating its own anniversary on Oct. 23 next year. “It all lines up,” said Dickow. Dickow hopes that both anniversaries will help bring more patrons and attention to the already growing Space Center. Warren High earned the honor for creating an “environment of inclusion” on campus. DOWNEY – Columbus High School is among California’s lowest performing schools, according to a new state report. A study drafted by the California Department of Education listed Downey’s continuation school amongst the lowest five percent academically in the state, using data pulled from the California School Dashboard, which measures school performance using factors such as suspension and graduation rates, college and career readiness, and subject performance. The Dashboard ranks each category on a color-coded system from red, to orange, to yellow, to green, to blue, representing poorer performance up to highest performance respectively. On this ranking system, Columbus scored a yellow ranking in suspension rates and graduation rates, while scoring reds in college and career readiness, mathematics, and English language arts. By comparison, Downey High School received yellows in college / career readiness, mathematics and English language arts, a green in suspension rate and blue in graduation rate. Warren scored slightly lower than Downey, earning oranges in suspension rates and mathematics, yellows in English language arts and college / career readiness, and blue in graduation rates. DUSD released a statement in response to the report, focusing on a broader picture of student success. “This is the first-time alternative education schools have been included within the Dashboard results, so with this initial baseline-data we are happy to receive these results to both celebrate our areas of achievement and work on the areas that need to be improved. “Clearly test scores are important, but the focus at Columbus High School is more than test scores, it’s the whole child. With the largest number of students that are categorized as ‘at risk’ we work every day to provide them with academic support as well as the social and emotional support needed to make them successful upon graduation. “With a graduation rate of 81.9%, we model practices at Columbus that are constantly refining to improve student achievement and advance post-secondary opportunities for students. In his day job, Ignacio Gonzalez works at a non-profit assisting people with developmental disabilities. At night, he is a stand-up comedian. A blustery rainy morning confronted visiting Rotarians, but it cleared just as everyone arrived at Downey’s world famous Rancho Los Amigos (RLA) National Rehabilitation Medical Center. We met in the sparkling new Outpatient Building, that compliments the new Jacqueline Perry Inpatient Wing of the hospital, which opened in September, and the big Don Knabe Wellness Center. All are part of project Rancho Rising 2020, right on target for completion. Bill Kirkwood recalled Downey Rotary’s history with RLA. Bill Harriman, one of the founders in 1924 of the Rotary Club of Downey, was Superintendent of Rancho when it was still a work farm for the country poor to serve farming families who could not afford medical services. Bill also remembered that Bill H., for whom the impressive RLA Administration Building is named, sponsored for membership into the Rotary Club of Downey a young man whom he called “The Boy Wonder.” Guess who? It was Angelo Cardono, now 91 and the club’s - and District 5280’s- longest serving member since 1948. As a sailor from Rhode Island freshly discharged from the Navy after World War II, he decided to stay here and make Downey his home. Deborah Arroyo, Director of the Rancho Foundation, served as hostess and was joined by Walter Afable, Assistant Hospital Administrator. By now nearly 40 members had found their way to the appointed spot, the Auditorium with its pictures windows that showed the lowering sky. Deborah introduced Administrator Eric Zapata, who explained that the Rancho Foundation is the non-profit fund raising arm at RLA, whose purpose is to improve the life of the patients, and enable them to be productive citizens again. “If you were a skier,” said Deborah, “You might think your skiing days were over after your accident. But we organize trips to the slopes in Colorado, and put them out there again. If not on skis, then on a sleigh or toboggan. Kayak trips, surfing. biking, these activities can be made available to patients during and after rehab. So there is life after your accident, and life can be good. Paul Mathis of the Rotary Club of Downey is Treasurer of the Foundation, and Jesse Vargas, Program Chair, is a member of the Board. Deborah invited everyone to come to the Foundation’s Gala Ball on March 23, and Rotarians were handed an elegant envelope. Held at the Westin in Long Beach, the Amistad (Friendship) event is a fun, glamorous evening, and the theme this year is A Black and White Ball. Downeyites Sam and Beverly Matthis will be there, as always: they’re deeply involved with the Foundation.. She’s a Soroptimist, he’s an Optimist, though the service clubs are not related. Late Rotary member Pat Gomez Pratt, who died in 2014, was for many years President of the Rancho Foundation Board. She also served as President of the Downey Chamber of Commerce and Grand Marshall of the Christmas Parade. As a young hairdresser, Pat gave her Sundays, her only day off, for cutting and styling the patients’ hair, both men and women, a great moral booster. Later as proprietor of Johnny & Company, Pat even got married at the Amistad Ball, to Cliff Pratt, a Rotarian from the South Gate Club, making cherished memories for many at the Amistad. Members were divided up into three groups for a tour of the newly opened building, and I joined the one led by Administrator Gilberto Salinas, himself a polio survivor who moved through corridor traffic expertly in his hand-propelled wheelchair. We stopped by a glass mural wall at the entrance, showing the history of Rancho. Prominent there were Downey Doctors Vern Nickell and Jacqulin Perry. In 1955 they invented the “halo” head brace for patients with spinal or head injuries. And then came Dr. Perry’s ground-breaking Gait Analysis studies in 1968, so useful for rehabbing stroke victims. The Downey Symphony will present a Gershwin! Concert in April, dedicated to Dr. Jackie. Today’s discoveries at Rancho are almost magical: brain-to-computer interfacing. We whizzed through marble corridors, up in brushed steel elevators, past the new Rehab Facility, custom designed to meet the special needs of patients. The $190 Million building is a “one-stop shop” where patients can get all their therapy, medical and nursing needs all in one place. “They can even get their prescriptions filled speedily here,” Gilbert told us. We walked through the wide enclosed connectors between Out-Patient Building and Hospital. Everywhere we saw smiling wheelchair patients and workers. When one employee in dark blue scrubs unexpectedly joined the twelve of us on our elevator ride, she was asked to tell what she does, and she willingly explained her role. A friendly, casual and up-to-date and upbeat place. RLA’s new Out-Patient Building is expected to serve an amazing 70,000 patients in 2019. That’s a lot of well-spent tax-payers dollars in L A County Supervisor Janice Hahn’s Fourth District, doing good work for the community. Downey Unified has established policies to accommodate breastfeeding students and staff. 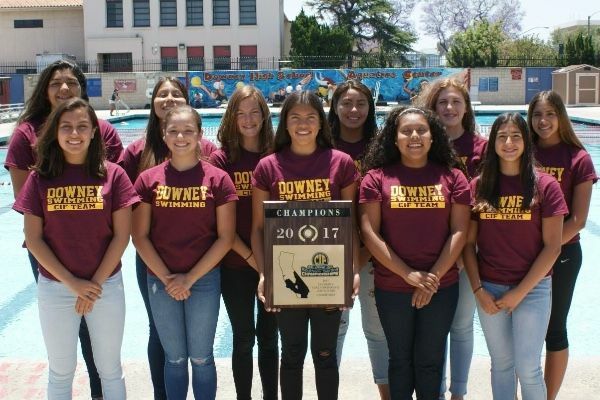 Downey High’s CIF champion girls swim team in 2017. A college website has named Downey “one of the best places for women’s swimming and diving” due to the city’s close proximity to top colleges and universities. Recipients of Downey Soroptimist’s 2018 Women of Distinction awards. Nominations are due by Feb. 15. Registration is now underway for the March 30 fundraiser. 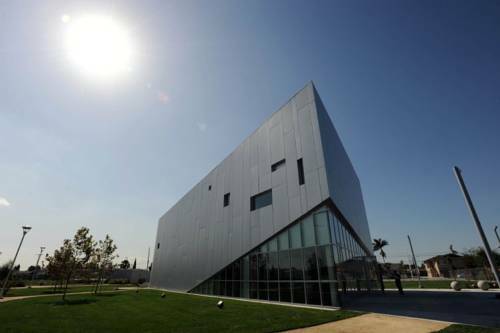 The new facility is part of Rancho’s $418 million campus overhaul. Rep. Lucille Roybal-Allard and Kenia Arredondo Ramos. Two full-time mental health workers will help police officers as they patrol Downey. The date is set for April 3 at the Rio Hondo Event Center.